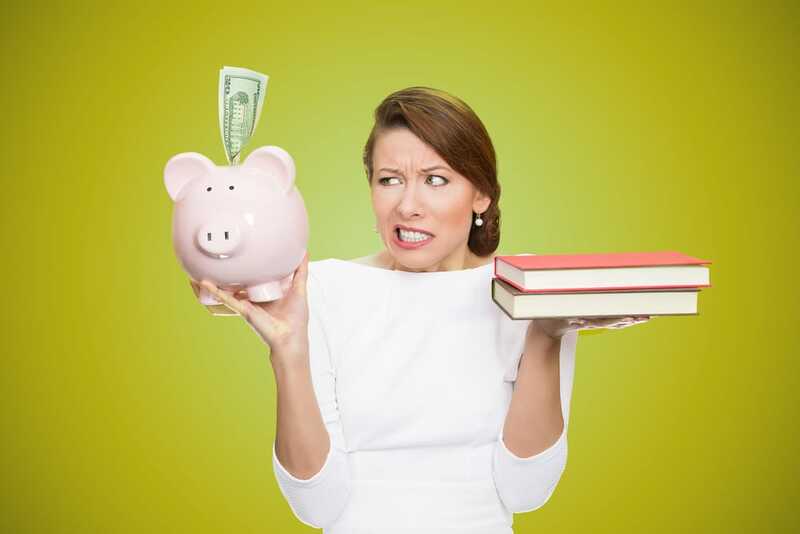 My husband and I always planned to save for our two daughters’ college educations, but when my oldest graduated from high school in May, we realized we had a fairly major financial crisis on our hands: We’d saved nothing, nada, over the last 18 years. Even with the scholarships she’s been awarded so far, we’re facing a $20,000 per year bill for tuition, room and board, and we’re not sure how to pay for it. It’s not too late to find funds, though! We’re learning there are quite a few options out there, even at this late date. If you’re a parent or a student staring down the barrel of an emptier-than-you-thought college fund, here are some last-minute ideas to help pay for college. If you haven’t already filed the Free Application for Financial Student Aid (FAFSA), it’s not too late. The federal government accepts FAFSA applications throughout the year, although your state and college may have their own deadlines. Federal financial aid probably won’t pay for your entire school year — undergraduate students can qualify for up to $5,775 in Pell Grants, based on income — but it can make a dent. Other U.S. Department of Education grants, loans and work study programs can help supplement that amount. Unfortunately, federal financial aid might not cover all your expenses, so you might need to borrow more money from a private lender. Try searching Credible. It’s like Zillow, except for private student loans. You can compare options to shop for your best match in under two minutes — and it’s free to use. You’ll be able to find rates as low as 3.15% APR with autopay. Oh, and you’ll get actual rates, not the estimated ones that tack on tons of money after the fact. More than 2,200 schools are eligible, and it also offers flexible repayment plans to suit your life circumstances. Do remember that it might be more difficult to get one of these loans if you don’t have any credit history, so you might need a co-signer. Credible’s tools can help you see how different co-signers can impact rates and loan products available to you. But remember, your rate will be based on your specific credit profile. Start perusing your options for free. Life happens. If you’re in a pinch for last minute funds because of job loss, illness, divorce or other special circumstances, you may qualify for additional help. Meet with your school’s financial aid officer about completing the school’s special circumstances form. You’ll have to go through a verification process that will require documentation of the change in circumstances, but it could be financially worth it. Whether you have special circumstances or not, if you need additional funds, you should sit down with your school’s financial aid officer. Maybe there’s a work study program that can provide some extra cash, or a generous alum who wants to help students just like you. The financial aid officer can also let you know about scholarship cancellations and late-deadline scholarships. Didn’t get that scholarship you were counting on? It doesn’t hurt to follow up with the scholarship committee or your school’s financial aid office. Not all college scholarships have springtime deadlines. You can find substantial scholarships, like the $10,000 Ayn Rand Institute’s Atlas Shrugged Essay, with summer deadlines. You may have to do a little sleuthing, but here are a few to get you started. You may have planned to get a summer job, but working while you’re in school is also a smart choice. You probably didn’t picture yourself flipping burgers on a Saturday night while your classmates partied, but steady part-time work can help finance college. And, if you’re lucky, you may even be able to find meaningful employment in your field of study or a job that lets you do homework in quiet moments. Or, if you prefer, give freelancing a shot. Parents, you may want to consider working overtime when it’s offered to help foot the bill, or picking up some freelance work on the side of your day job. Big ticket items — cars, boats, trailers — can pay for a year or more of college, but even the little stuff adds up. List your collection of vintage Star Wars action figures on eBay, park your ATV on the corner with a For Sale sign, or put your mountain bike on Craigslist or your local Facebook garage sale group. It adds up quickly. Most of your family, friends and even coworkers want to see you succeed. Ask them if they can help pay for part of the costs outright, or at least loan you the money. It’s probably best to approach them in person, especially if you want help from your grandparents or Aunt Doris, but a letter explaining your situation and your goals can be effective, too. Here’s another good reason to meet with a financial aid officer — some colleges offer temporary emergency loans to students in dire financial straits. Typically, these are short-term loans for small amounts, but if you can’t afford books and other necessities, an emergency loan may just do the trick. Heads up: You will probably have to prove there’s been an unexpected emergency, so don’t think you can get a loan to pay for extra beer money. If all else fails, you may be able to set up a payment plan with the college. Many colleges offer no-interest payment plans that allow you to break your tuition into more manageable monthly payments. Usually, you’ll have to pay a small fee each semester ($30-$50) for the payment plan and a similar small amount as a penalty for returned payments, but you can have up to a year to pay the full amount. Teresa Bitler is a freelance writer with one daughter heading to college this fall, another two years behind her, and zero in the bank to pay for either.